Modern micro-living and unique small businesses in the center of downtown Providence, Rhode Island. Located in the center of downtown Providence, Rhode Island, The Arcade Providence was built in 1828 and it is the oldest indoor mall in the United States. After an extensive renovation, it is now home to 48 micro-loft apartments on the upper two floors, with a first floor of small business retail, including a full service local foods restaurant, a coffee shop/whiskey bar, casual dining, and several unique retail shops. 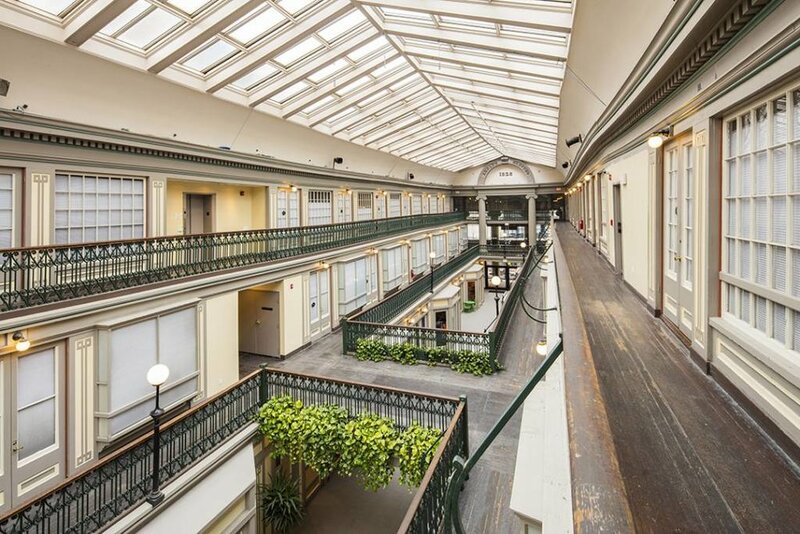 The Providence Arcade is probably the single most important example of commercial architecture in Providence, and a building of national significance. The reopening of the Arcade is a monumental, much–longed for occasion, and a great gift to the residents of the city.